A good pair of gardening shears can make world of difference in keeping a healthy garden. When a tool, any tool, makes performing a task easier and free of frustration, it makes it much more likely that the job will get done. If you have a tool that is difficult to use, and ends up being a hassle every time you use it, it’s likely to be ignored, to the detriment of important tasks that may need to be accomplished. Garden shears are no exception. A good pair of garden shears can be the difference between a healthy green garden, and an unkempt unhealthy one. 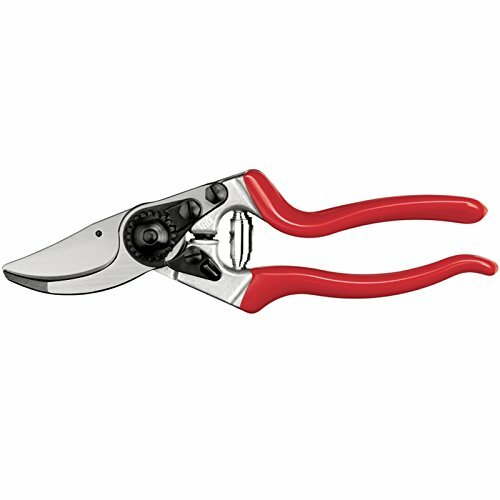 Size & Weight: Keeping in mind the type of pruning you will be doing around your yard and garden, take the weight of the garden shears into consideration. If there are a variety of plants (instead fo some hedges) that need to be maintained, it is best to get a relatively light, and one that you can operate using just one hand. Blade Length: For an all-purpose pair of garden shears, the blades should be no longer than 6 or 7 inches, as this will allow for maximum maneuverability in tight spaces without risking damage to the plant, shrub, or tree. Gear Mechanism: If a fair amount of the cutting and pruning will involved thicker branches, it may be a good idea to get a pair of garden shears which has a gear mechanism. It will make cutting thicker branches easier than the traditional (scissors-like) mechanism. Repairability: If you are the type that likes to tinker with your tools, then make sure that the shears offer the capability for complete disassembly. This will allow for changing parts, cleaning, and other repair activities.